You are here: Home › What Will Happen The Day After A Palestinian State Is Established? Is a two-state plan going to become reality? Implemented? No one really knows at this time. But if any such plan in any form becomes reality? Israel will be under even greater threat than that nation and its people already are on a 24/7/365 basis. What will happen the day after a Palestinian state is established? 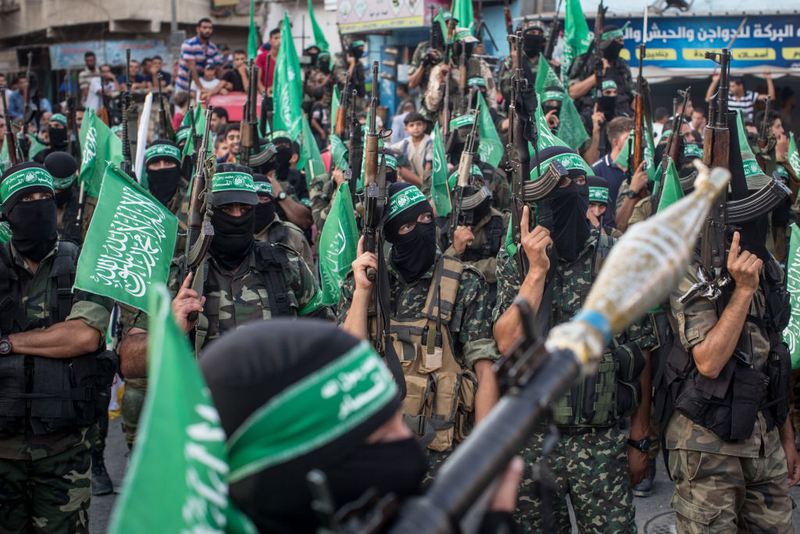 The answer, according to Hamas and Islamic Jihad (and other Palestinians) is that they will use it to continue the “armed struggle” until the liberation of the supposedly occupied cities of Tel Aviv, Nazareth, Tiberias, Haifa and Ashdod. Under these current circumstances, a Palestinian state will pose an immediate existential danger to Israel. So much for the “people of peace” and the two-state solution being any solution at all. The Islamists of the West Bank, Gaza, and East Jerusalem do not want peace. They are not and never have been people of peace. They lie daily as course of action to any non-Islamist (TAQIYYA). The school curriculum taught in Gaza, the West Bank and East Jerusalem run schools teaches the killing of Jews is to be admired, rewarded, sought after, as is the demise of the nation of Israel. Worldly, ego driven, willful men and women imagine they will be the ones to finally establish peace in the Middle East. They will do what no one else has been able to do failing to know there has never been peace in the Middle East. Never will be. There has been the gnashing of death and the plotting to destroy one another since Abraham’s offspring Isaac and Ishmael, and even prior to that historical event determining the course of world history. 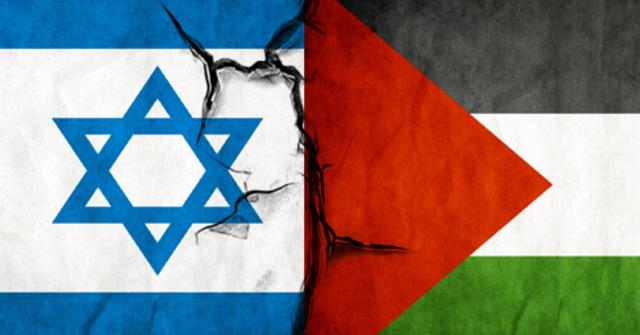 If a two-state “solution” does happen? It will be no “solution” at all. Only leading to greater troubles. More tensions. More wars and violence. To even the casual observer it is evident no Executive Administration of the U.S. Government has learned the history of the Middle East, the history of Islam, the history of the entire region and its peoples. Each has determined to discard history and the facts, discard anything in the Bible, and to ramrod their will, impose their will deluding themselves they have the power to do something which has never been accomplished and never will be accomplished — a lasting peace in the Middle East. Such will happen one day. But not until the LORD Jesus Christ returns a Second Time and sets His foot upon the Mount of Olives. We cannot place our hope or faith in the ways of man or this world. We can only place our hope and faith in God our Father, the Father of Abraham, Isaac and Jacob, the Father of Jesus Christ our Lord. And place our faith and hope in God’s word and in spiritual matters knowing God is in total control. God’s plan is unfolding. And the evil natures of men and women, their evil self-wills turning from God, turning to disobedience and their own deceptions will lead to their ruin and the fulfillment of every jot and tittle and word of Biblical prophecy. Pray for the individuals in the U.S. government that they come out of the darkness. That their cold lost hearts and spirits are pierced by the light and rightness of God, that the Almighty Power of the Spirit of God works in them in this matter. Pray also for individuals in Israel they are obedient to God and not this world, and pray for individuals in positions of power in the Arab and Islamist world they are pierced by the Almighty Power of the Spirit of The One True God and come out of darkness, have the scales removed from their eyes. Lastly, pray for the apostate church and it’s apostate leaders, for those in unbelief in America and around the world that there is a sincere, humble turn to REPENTANCE AMONG THE PEOPLE AND NATIONS — for THAT IS THE ONLY THING that will EVER alter the course this world has taken and is speeding headlong into destruction. Do this out of agape love for those we will never know or meet, that some can come out of the darkness and into the Light, Truth, Way and Life while the door of grace remains open and is not shut before Jesus Christ the Lord returns a Second Time to this earth. Okay. Now please read the following piece of reality about the truth of the Palestinians and the so-called, so-imagined two-state “solution”. For the past three decades, Hamas and Islamic Jihad have been major players in the Palestinian arena. They are not splinter factions than can be dismissed as irrelevant. The two groups control nearly two million Palestinians living in the Gaza Strip. Each group has its own political leadership , as well as militias that possess various types of weapons, including rockets and missiles. The two groups also have thousands of militiamen in the Gaza Strip who consider themselves “soldiers” and “freedom fighters” in the war to eliminate Israel and kill Jews. Those who think that Hamas and Islamic Jihad will vanish one day are living in an illusion. The two groups continue to pose a real threat, not only to Israel, but also to Mahmoud Abbas’s Palestinian Authority (PA) in the West Bank. Were it not for Israel’s security presence in the West Bank, Hamas and Islamic Jihad would have toppled Abbas’s regime long ago. Hamas and Islamic Jihad despise Abbas and consider him a traitor because of his purported support for a two-state solution.